(Newser) – A Navy admiral is President Barack Obama's choice to be the next head of the controversy-ridden National Security Agency. Vice Adm. Mike Rogers, the head of the Navy's Cyber Command and a former intelligence director for the Joint Chiefs of Staff, is being appointed to lead the NSA, Defense Secretary Chuck Hagel announced yesterday. 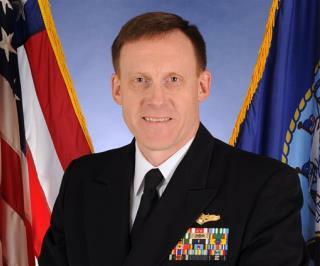 Rogers also is being nominated to get a fourth star and head US Cyber Command. I advise him to hang a copy of the Constitution in his office with the 4th. amendment to the Bill of Rights highlighted. HIs first order of business should be to take the Enron approach...send a directive to everyone in the NSA to destroy all the evidence. When they are finished, give them all nice severance packages on their way out the door, then inform the President that the NSA is no more.